1. Colorful Phrases: “I’m fixin’ to”. The perfect phrase. I’m not doing it now, but I’m doing more than thinking about it. It’s going to happen but I’m not quite sure when. I’m fixing to! I think the South is the only place I don’t mind being called ma’am since everyone is ma’am and sir. Just walking down the street, morning ma’am. But my favorite of all is how the Ladies are called Miss. As in Miss Anne, Miss Gloria, Miss Tracy. You’ll have to ask Miss Anne about that price. Yes, I could really get used to that. Had so much fun at Amy’s Antiques with these lovely Misses! 2. Iced Tea: I have had more iced tea in the past week than I have ever had in my life. It’s always a good time for iced tea. If you don’t asked for unsweetened tea (which…why would you?) you get a concoction that is mighty fine! 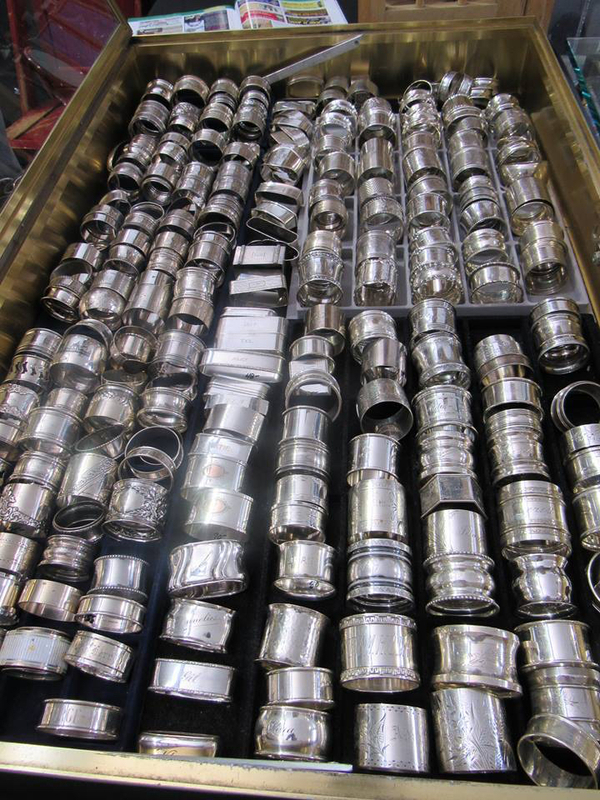 For the napkin ring collectors! Had a lovely conversation with the dealer who advised me on polishing techniques. 3. Space Time Continuum: People live at a different pace down South; things just don’t move as quickly. A chance meeting could turn into a two hour lunch. Saying hello to someone is not a quick chat. Asking someone about a table becomes a history lesson that includes an entire family background. A comment about the name on a napkin ring turns into a twenty minute discussion about the 4’11” woman that taught him how to polish silver. Even ordering BBQ involves a discussion about where you’re from, what Washington is like, and where a person can go to drink good (sweet) tea in Seattle. 4. Food: BBQ is everywhere. Steve asked his buddy Skip and his friends where they needed to go to get the best ribs. This turned into a thirty minute discussion (see point 3) that involved a list so long that blew Steve’s mind. The same discussion might take a minute in Seattle. One of the porters at Scotts asked me what meat we ate in Seattle (which is in and of itself an interesting query). When I told him that a lot of people didn’t even eat meat there he responded, Oh you have good seafood. I said yes, but some people are vegan. I would pay good money to have gotten a picture of his face at that moment–the perfect cross between confusion and utter disbelief. He was stunned. Why people would willingly choose to not eat meat was too much to comprehend. 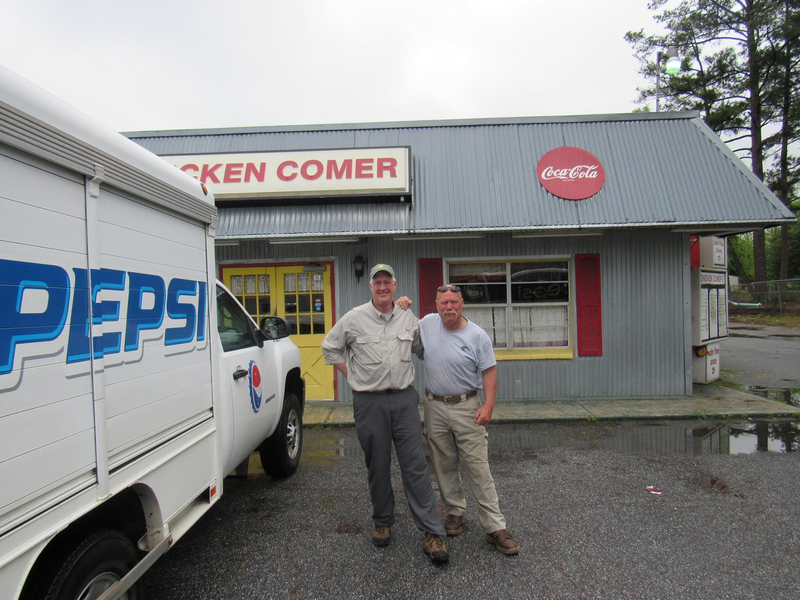 Steve and his old buddy Skip in front of Chicken Comer’s. Some Truly fine BBQ! 5. Friendliness: Everyone here walks around with a smile on their face. Everyone, and I mean everyone says hello, even if they’re just passing you on the street. If you’re standing in line, you talk with the people next to you. If you’re on the elevator, you don’t stand there in awkward silence; you have a discussion about the weather, where you live, where you’re from. Everyone here assumes that you’re interesting, you have a good story, you’re worth a smile. When I’m in Seattle, people are polite but not friendly. Knowing how much I’ll miss it, I’ve made a promise to bring it back with me to Seattle. So the trip continues! I will be back at Gracious on Friday with no goodies yet, but lots to come! I might not be there right at 10, but I’m fixin’ to get there right soon. We love hosting at Gracious, not only because we like to show off our decorated store,but also because we love being Gracious hostesses, and throwing entertaining events for friends. 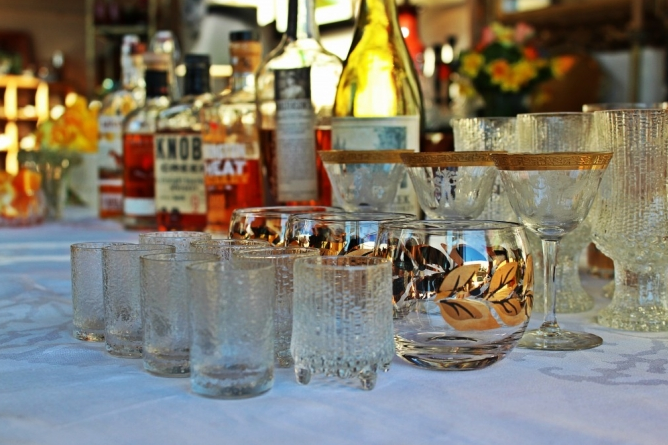 Most recently we paired up with Natalie from Beautiful Booze to host a DIY Bourbon Tasting event. We learned from an expert about bourbon history and flavors, and tasted very different bourbons, all while getting to use our wonderful barware. 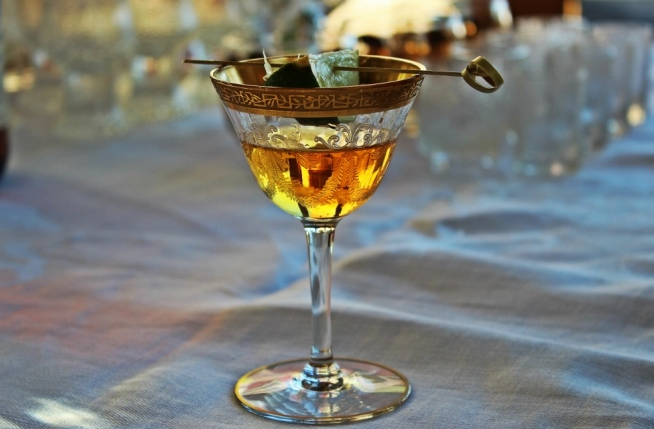 Natalie is a Seattle based cocktail blogger who writes amazing inventive cocktail recipes for every season and occasion. 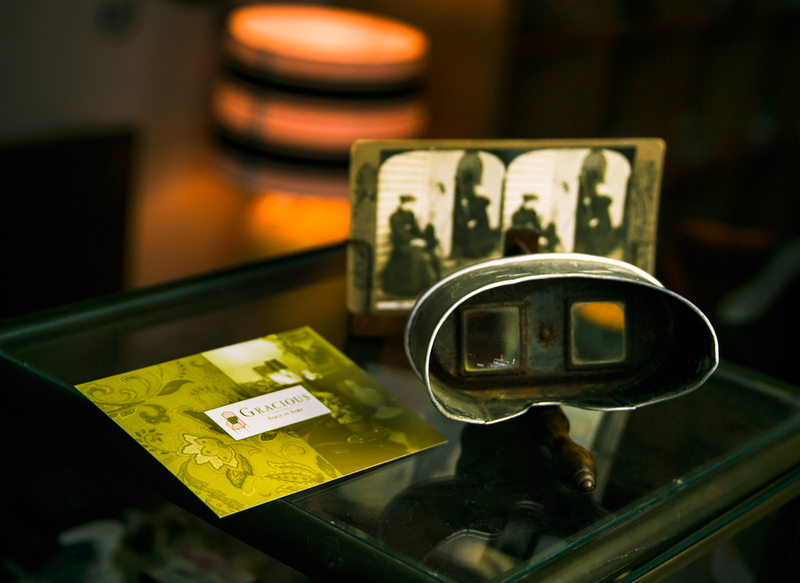 The event was a success and we put use to our wonderful vintage dishware. 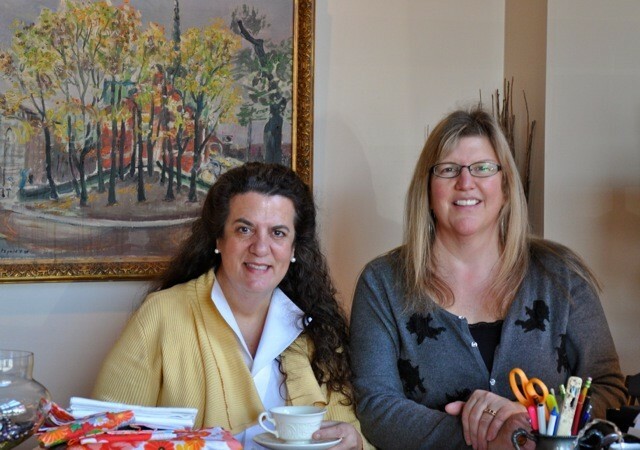 We are so happy to link up with Natalie and hope to host another event soon! If you’re interested in hosting your own DIY bourbon tasting event, read Natalie’s blog on how to make it a success. So I have bad news. 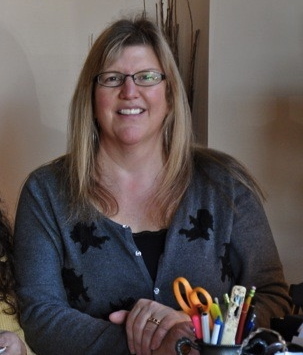 After 4 years of driving between Everett and Seattle every day, Deirdre is leaving Gracious. For her sanity, her family and her gas bill, she has decided to stop being an owner of Gracious and find work a little closer to home. I can’t blame her. She lasted way longer than I thought she would, and way longer than I would have. But I am really, really sad. I don’t know if any of you have had the pleasure of working with one of your best friends in your own business, but it has been the most fun and the most work I’ve ever had. I am totally in denial about the whole leaving thing. She is one of the best people I’ve ever known and deserves all the good in the world. Not getting to see her all the time is going to be hard, and lousy and sad. Four years ago, two old friends (and I mean long time!) decided to open a store. I’m sure if we had given it a lot more thought, we might have been nervous, considering the failure rate for most small businesses. But we jumped in with both feet and went for it. I will always love her for that. Most small businesses fail because they don’t pay attention to the details. Deirdre is a secret weapon. She set the whole thing up and had us on track from the beginning. We paid off our loan and operate on a totally cash basis. That is Deirdre all the way. I’m sure a little part of her is cringing when she thinks of what the beautiful books she has kept to meticulously for the past four years will look like in 6 months, but I hope we can keep it going. Well, not exactly the same, but I hope we just don’t screw them up too badly. What does this mean for Gracious? Well, we will still be here, although the hours may change. Things may look a little different, because Deirdre is the one who keeps things from looking ‘too much’. And there will definitely be some strong language coming out of the back as we attempt to keep things on track. And things might be just a little less Gracious, because she is gone. But we look forward to bringing you more beautiful and unique things. Even though one of our favorites is gone. There are so many reasons to buy vintage furniture – from the gorgeous looks to the reduced carbon footprint – it’s hard to find a reason NOT to go vintage. 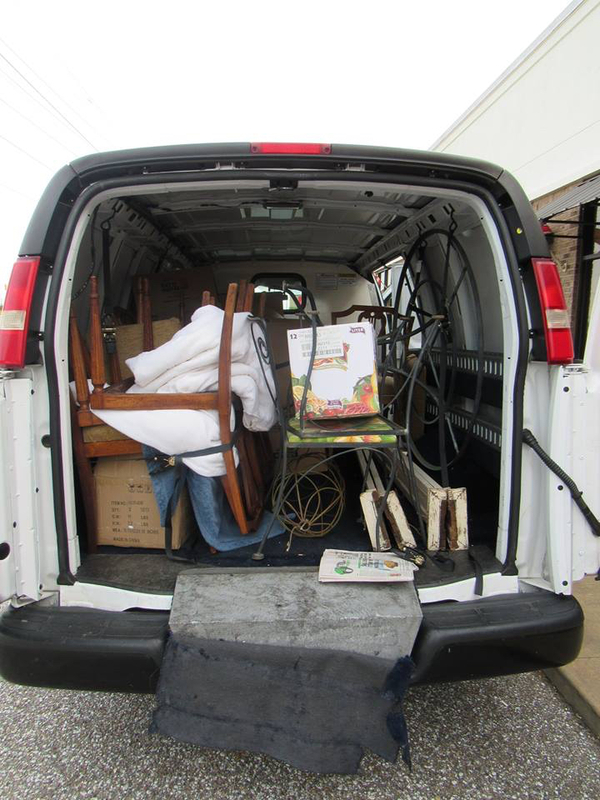 So without further ado, Gracious gives our top 10 list on why we love buying vintage furniture, and why you should too! 10. Quality. If the piece has lasted 50 years, it will probably last another 50. Vintage pieces are made with such strong material, they last the test of time. Maybe a retouch is needed here or there, but you’re buying a piece that lasts! 9. You’re recycling! Buying vintage furniture is making your personal carbon footprint much smaller. 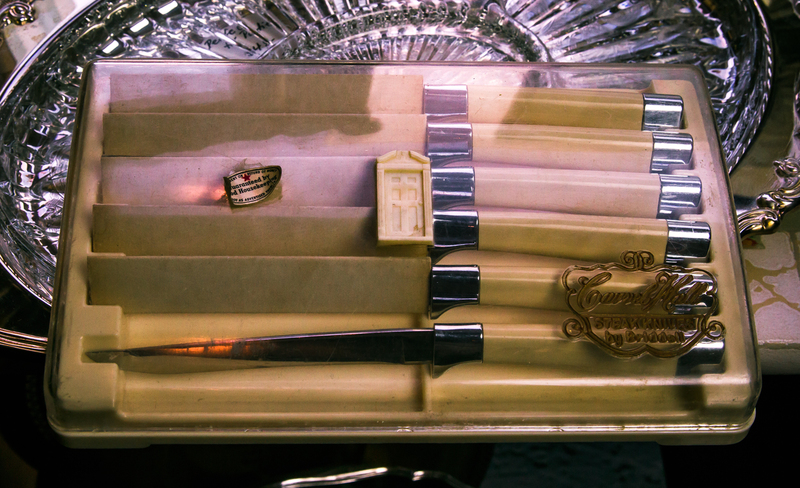 Vintage is green, and we all need to do our part to be more environmentally conscious, so do so in style. 8. Originality. Vintage furniture has a unique originality that is hard to find in our mass-production world. 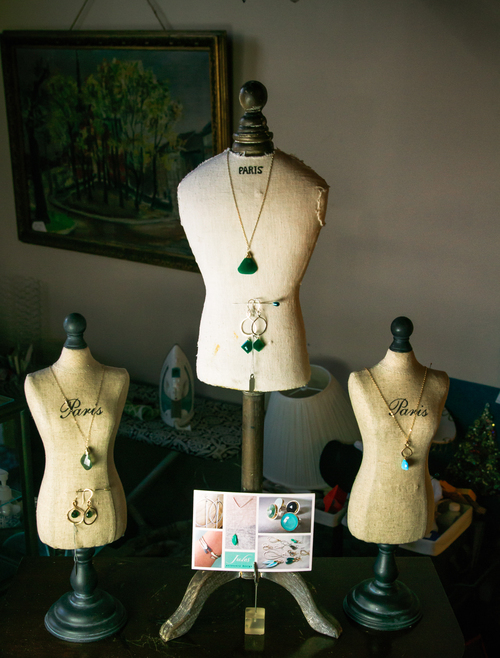 Many vintage pieces are handmade one-of-a-kind pieces that aren’t available anywhere else. Typically when you buy a vintage piece, no one else will have it. 7. There is a story behind your piece. If you buy a living room chair at a regular furniture shop, most likely, there is no story behind it. 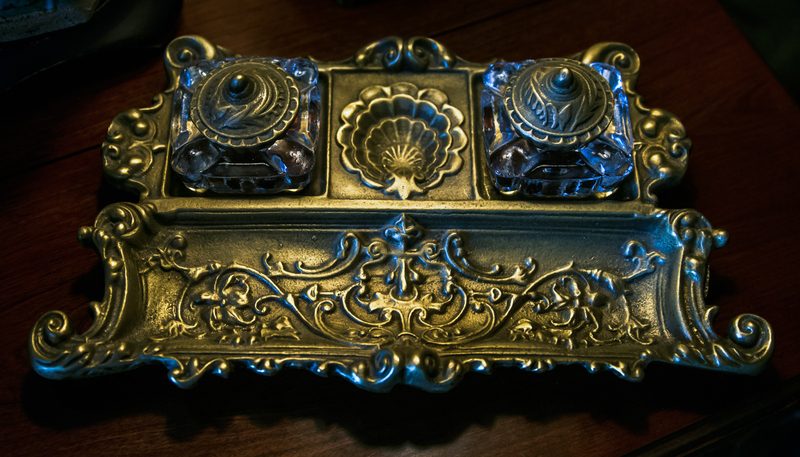 But with vintage, each piece has character and history, adding a uniqueness to your living room. Research a little about the period which your piece was made, and suddenly your home is full of proverbial conversation pieces. And you definitely don’t have to be a collector to appreciate that. 6.. The style never fades. Vintage furniture never truly goes out of style. When you buy the new fad of armchairs, it will probably be ‘out’ in 2 years. With vintage, the style stays on for years. You can even combine modern and vintage pieces, which creates the ultimate look! 5. Finding vintage pieces is fun! 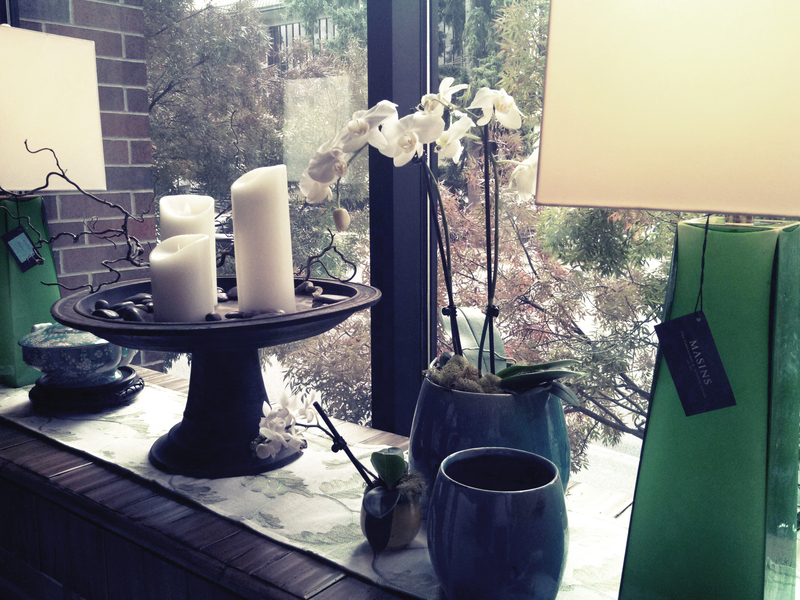 Shopping around (especially at Gracious) can be oh so entertaining. When we go searching for pieces, we always have a great time – learn a lot of new stories, and find stunning furniture we must have. 4.The value. A vintage piece is worth so much not only for the style but for the reliability. You really get a bang for your buck when you buy vintage furniture because you know it will last years. Between moving houses, kids, pets, and the test of time, vintage pieces are an incredibly valuable purchase. Is that IKEA couch ever going to be a family heirloom? Probably not. But the restored vintage mantle clock. Definitely. 3.Variety. Vintage furniture gives more variety than buying new in-store items. Not only will you get unique pieces, but you have so many styles to choose from! There are thousands of vintage patterns that you won’t find every day, so you have choice when it comes to vintage pieces. This really holds true with dining ware (from silverware to platters) – Gracious has vintage pieces for entertaining that are really hard to find anywhere. 2. There’s a vintage community. At Gracious, we love meeting other vintage furniture-lovers, and together we form a community that appreciates well-done pieces. When buying vintage furniture, you can tap into this community for style tips that we are all happy to share! Gracious loves to work closely with customers and hunt for them, so if you’re looking for something in particular, we are happy to help find it! 1. The pieces are beautiful. In the end, many of us return to the point that vintage pieces make a room. The guests’ eye is constantly drawn to the stunning vintage piece, rather than the regular run-of-the-mill couch. 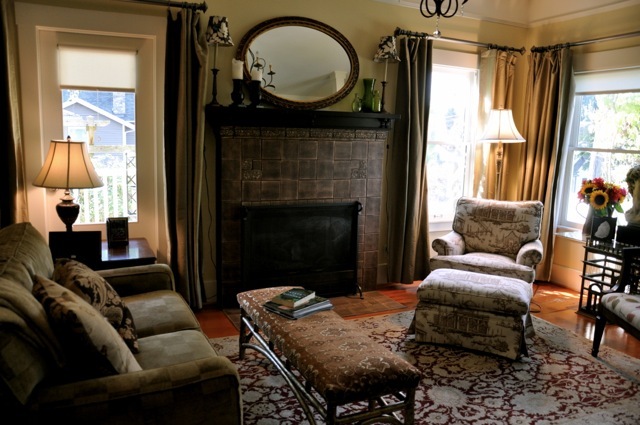 Having vintage furniture or even just one great vintage piece decorates the room completely. The 2014 Gracious Garden Party is Here! After this winter, we’re all ready for Spring! And with Spring comes Gracious’ annual Garden Party! 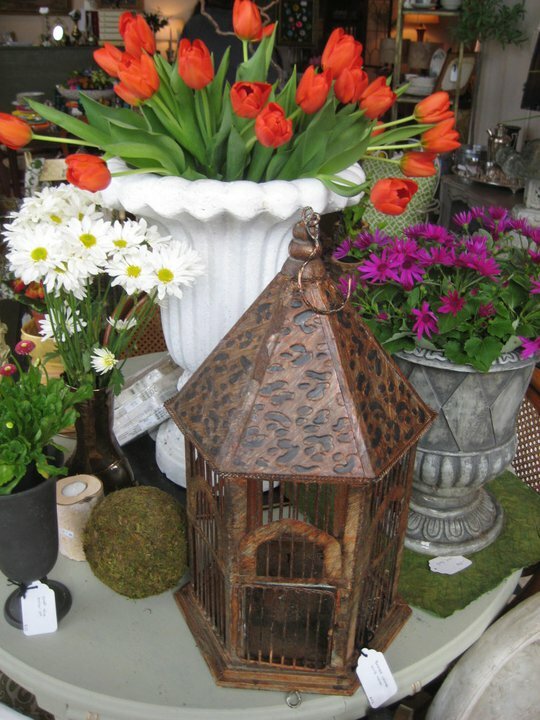 This Friday and Saturday, April 4th and 5th, Gracious formerly invites you to view our beautiful vintage outdoor items. Now that the snow is (hopefully) finally clearing, it’s time to think about how to decorate your patios, outdoor porches, and outside spaces with gorgeous vintage items. Are you looking for an updated look for your patio, now that better weather is headed our way? Does your garden need a sculpture, or new details to bring it back to life with the spring? How about turning your patio into the ultimate entertaining room with an outdoor bar cart and some new seating – with a pop of color! Come for some springtime inspiration. This is the only time of year that we focus specifically on outdoor vintage gear. And, of course, we’re making the day full of fun with food, garden tips, prizes, and a whole lot of vintage fun! Whether you’re in for pots for plants, tablescapes, decorations, or just some tips, stop by Gracious this Friday or Saturday. 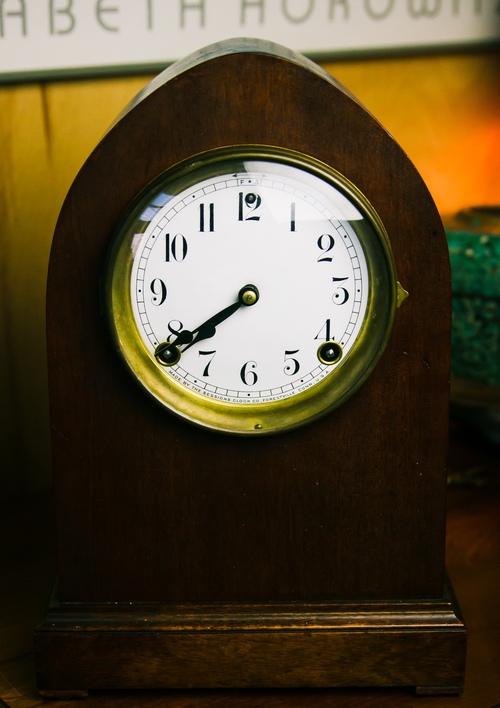 Vintage items have become ever more popular, and now that you can order almost anything online, your options are endless. We know you’re really busy and clicking around for vintage pieces is easily done, but sometimes it’s better to see an item before you buy. Sometimes it’s nice knowing the real story of your furniture piece before you bring it into your home. So why should Gracious be your go to source for vintage furniture? We’ll tell you! 1. We’re Environmental. Seeing as we sell repurposed vintage items, we are very aware of the environmental impact (or lack thereof) our pieces carry. Decorating with vintage furniture not only saves the piece from ending up in a landfill, but it also is probably very durable, as it’s lasted over the years. Maybe the item needs a little work, but in the end, you’re greatly reducing your carbon footprint when you buy vintage. And the great part is – we do the work for you. When we get an item, it’s almost never perfect, so we paint, polish, shine (all with environmentally friendly products) so the item is ready for you to take home. We also update some items to make them fashionable, relevant, and more usable for our shoppers. 2. We’re More Personal. Shopping online is far from a personal experience. Though buyers can rely heavily on reviews, it’s not the same as talking to one of us face-to-face. 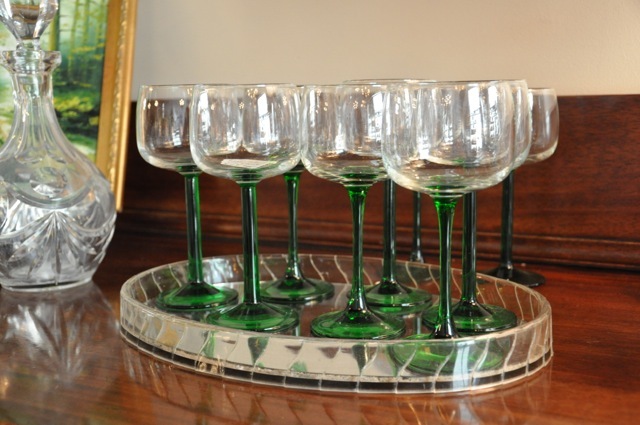 We truly value all of our customers so we give them all relevant information about each piece. Since we also hand-select each item in our store, it’s sure to have a story behind it! We also have design services, so if you’re unsure how to decorate a room (or maybe just want a second opinion), our experts are here to help! We always have in mind how each piece will look in a space, so questions are always welcome. 3. We’re a Local, Ethical Business. All of our artisan products are created locally, and all wages are fairly compensated. When shopping at Gracious, you can rest assured that our items are produced in the most ethical way. And, as we hand-pick all items, we don’t have any mass-produced pieces that just anyone has. Whatever item you buy from Gracious, you’re probably the only one around who owns it. At Gracious we’re truly passionate about buying vintage, so each of our items is carefully selected with our shoppers in mind. 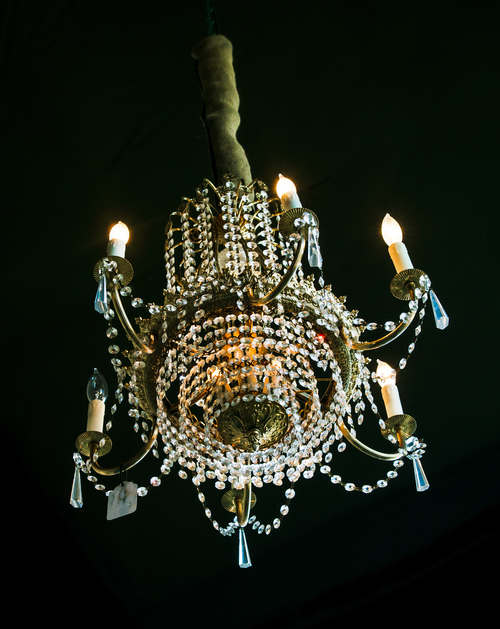 We know the other option out there, but we pride ourselves on giving our customers a really unique, comfortable, and personal experience when shopping at Gracious. 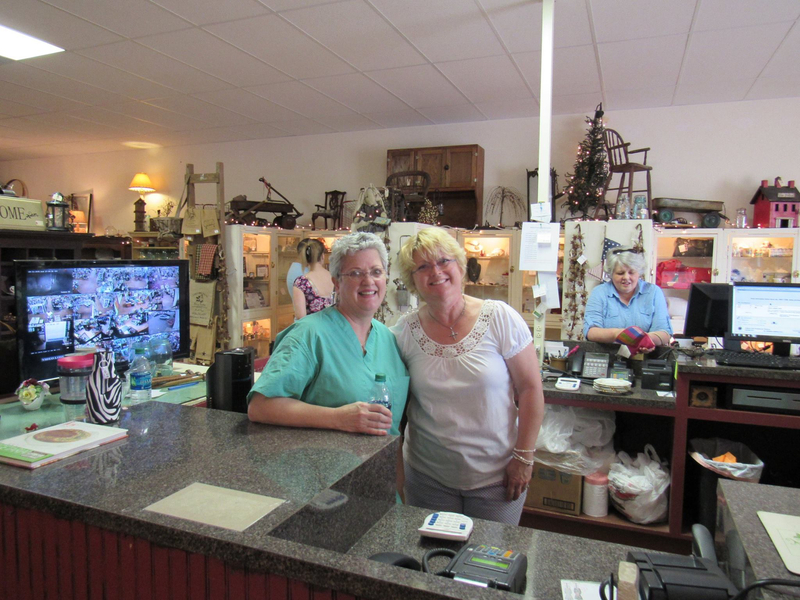 We love to work with customers to find specialty furnishings – so if you’re hunting for a hard to find object, or collect something, let us know and we will work with you to find it. So if you’re in the Seattle area, be sure to check out what we have in store! 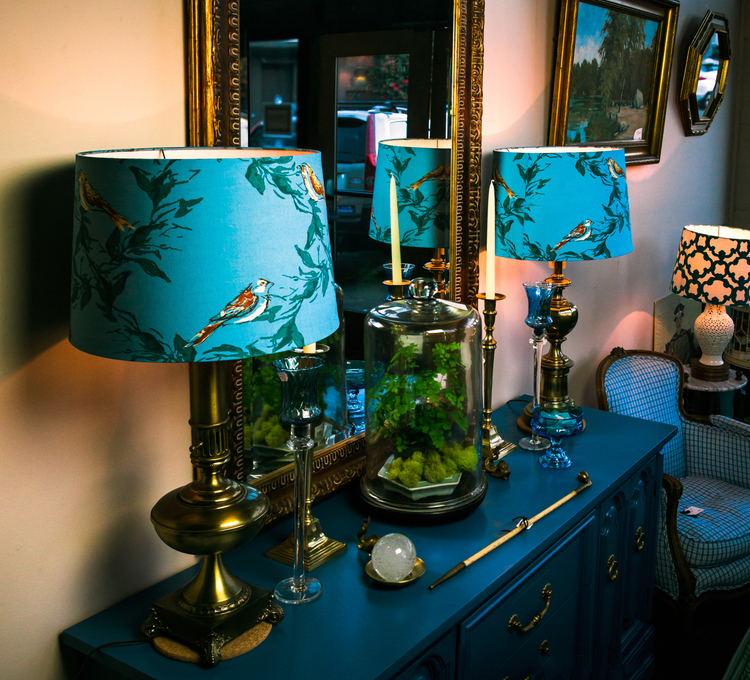 The vintage trend is in full-swing as we see rooms decorated with full vintage flair, but what actually makes an item vintage? And how does that differ from antique? These two words, at times used as synonyms, have two different meanings that are often changed and debated. So what makes an item vintage? And when should you call it an antique? For those who want a quick answer, many define vintage as something older than 50 years but less than 100, and antique as older than 100 years. This is a general guideline that has been changing, as we see “vintage cell phones” dating back only 20-30 years. For us, we say vintage is 20-30 years old and antique roughly 100. Vintage historically referred to the age of a bottle of wine, “vintage” being the date the grapes were grown; this is why we see the word vintage used often with dates. But even that clear definition has morphed as we see “vintage” food products, that were clearly manufactured recently, being sold today. Vintage can also refer to an item that was popular in a different era. It may have not been produced in that era, but it was wildly popular in that time and mimics the style. So when we have “vintage 1950s” furniture, it’s likely it was very sought after during that time, possibly made during that decade or maybe even after. 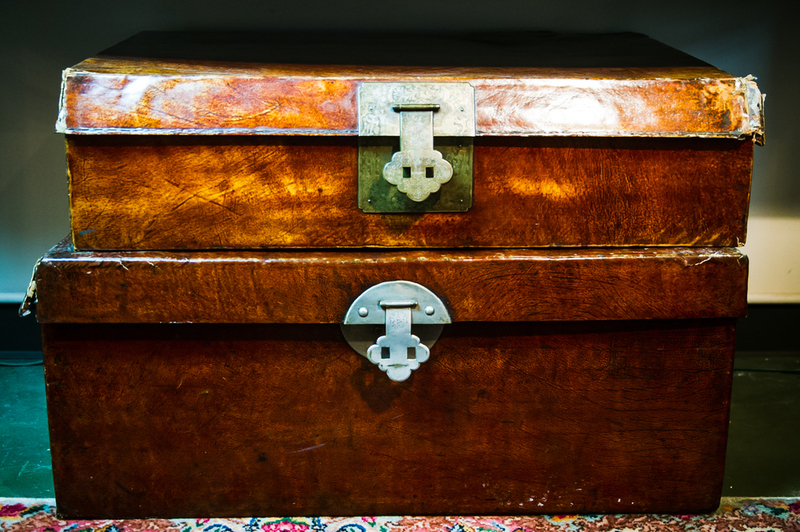 Vintage is not old enough to be antique, which makes it still very usable and functional pieces of furniture. 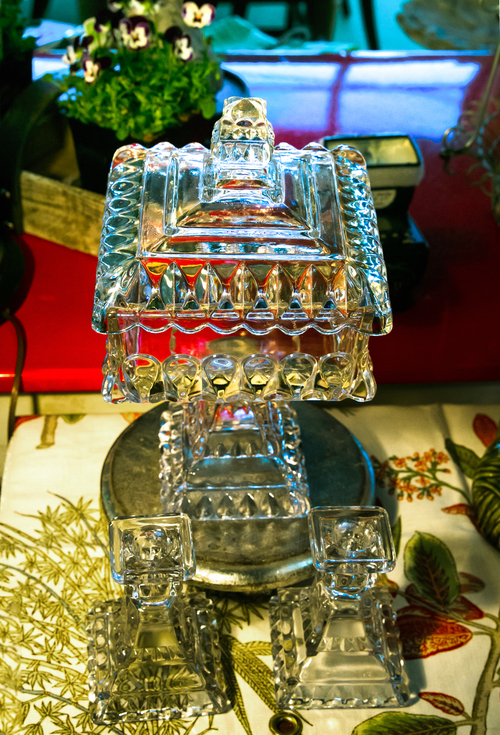 While antiques can go either way, vintage items are usually able to be used. 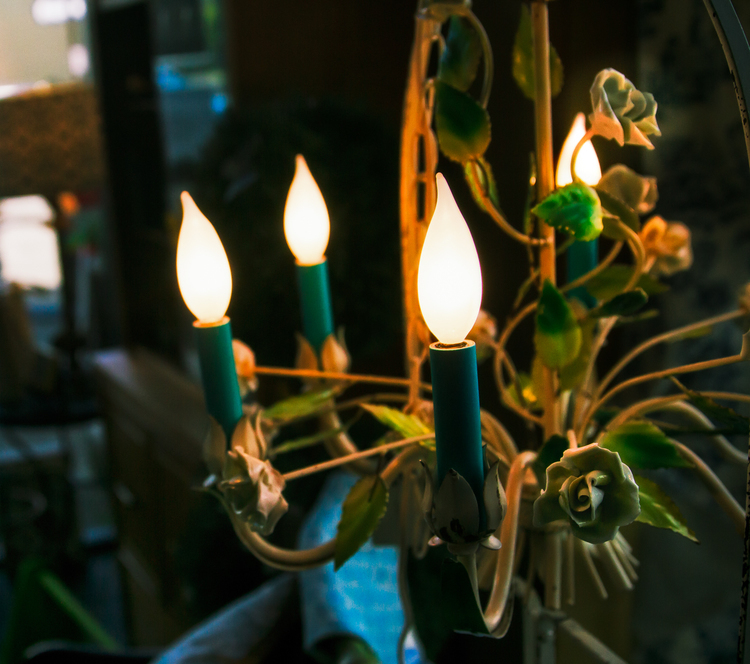 But, whether you want to call it vintage, antique, or even retro, we won’t mind as long as you stop by Gracious. When it comes to collecting vintage dishware, it becomes difficult to find a complete matching set. Buying complete sets can also end up being a very pricy endeavor. Styles of the time also change which can be reflected in what is available out there. However, this shouldn’t deter someone from putting together a great looking collection that can be mixed and matched with the old and new, especially with these tips. This is the second part of our series. You can read the first one here. Much like color matching, mixing and matching dishware involves themes and putting together different plates that complement each other. In this case, we want to focus on patterns. In the case of patterns, you want to start with a solid. The solid color will help create a foundation for the table and the rest of your arraignment. Once you have your base established, you will want complimentary colors. 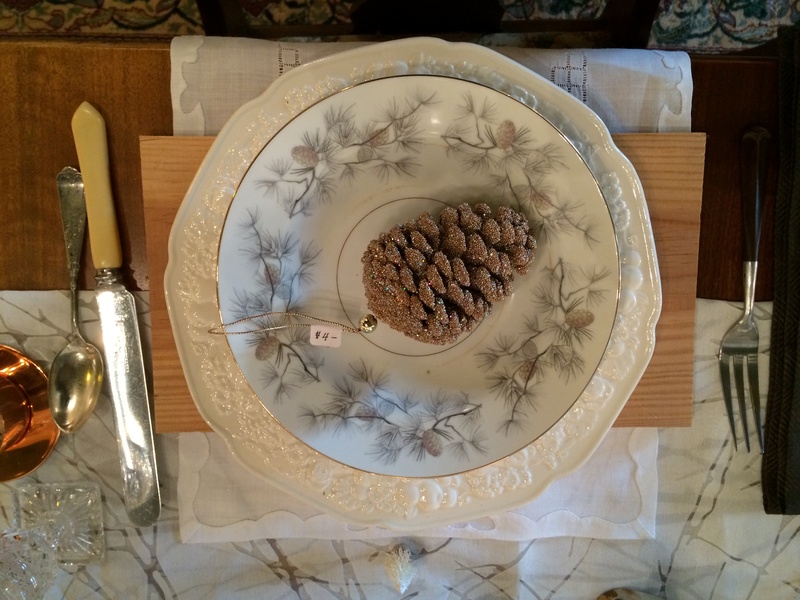 Have some floral patterned plates? Lay them on top of other dishware with solid colored Earth-y tones. Worried about putting together an overwhelming combination? Stick with metallics and focus on combining textures. When you are putting together these combinations, don’t forget about linens. 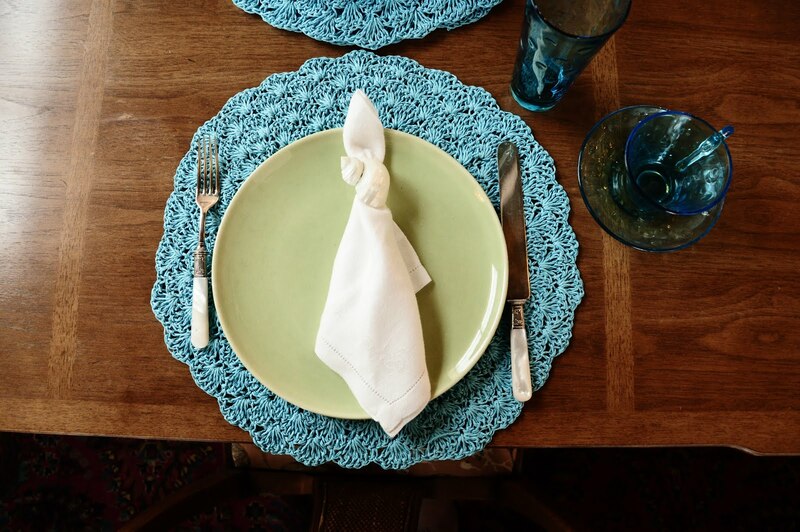 Table cloths, place mats, and napkins are a great way to give your mix and matched patterns a cohesive look. 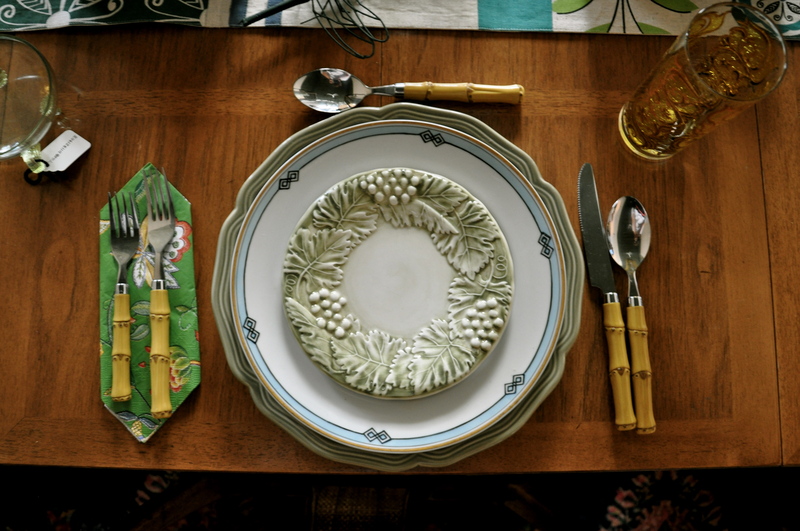 When it comes to collecting vintage dishware, it becomes difficult to find a complete matching set. Buying complete sets can also end up being a very pricy endeavor. Styles of the time also change which can be reflected in what is available out there. However, this shouldn’t deter someone from putting together a great looking collection that can be mixed and matched with the old and new, especially with these tips. 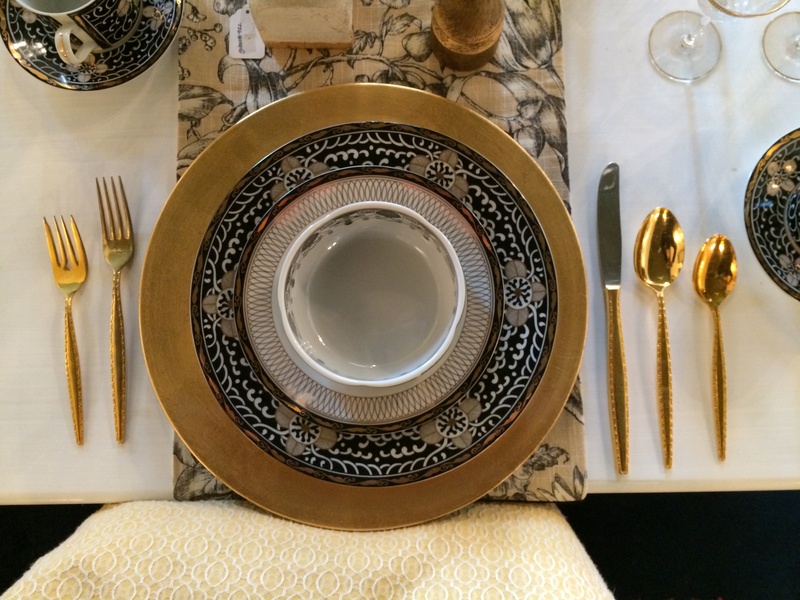 The basis of mixing and matching dishware is creating a theme and matching colors. The first thing is that white goes with everything. 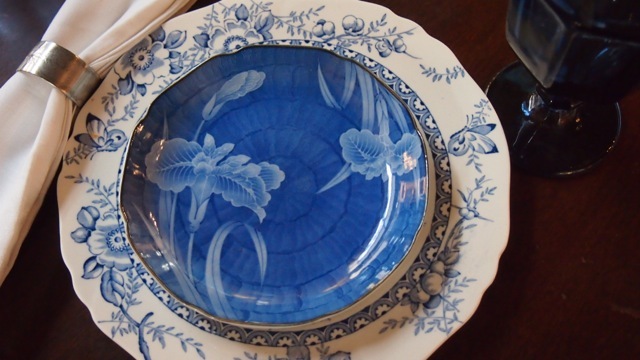 Intersperse your plain white dishware with colored or printed dishware. If you don’t have enough dishware of one particular color, white could be the basis in which to unify a group of mixed plate designs. Matching blue on blue on a white base. 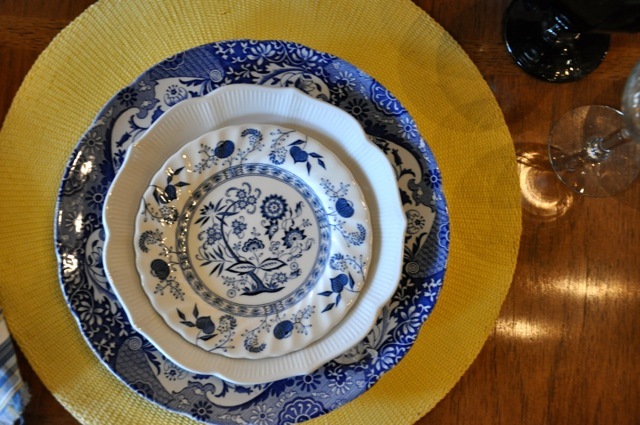 Mixing and matching colors for the seasons is also a great idea to add utilize more variety in your dishware. We find that green and pink are a great combo to utilize in the spring and summer. A green and brown combo go well in the fall, especially for the tablescapes that have a lot of Earth-y tones or utilize a lot of nature in the decor. For the winter season, you can’t go wrong with a green and cranberry look to accent the colors of Christmas. Use patterns to bring it together.